It is hard to imagine that any more adulatory words could be penned about Enzo Ferrari and his legendary cavallino rampante. 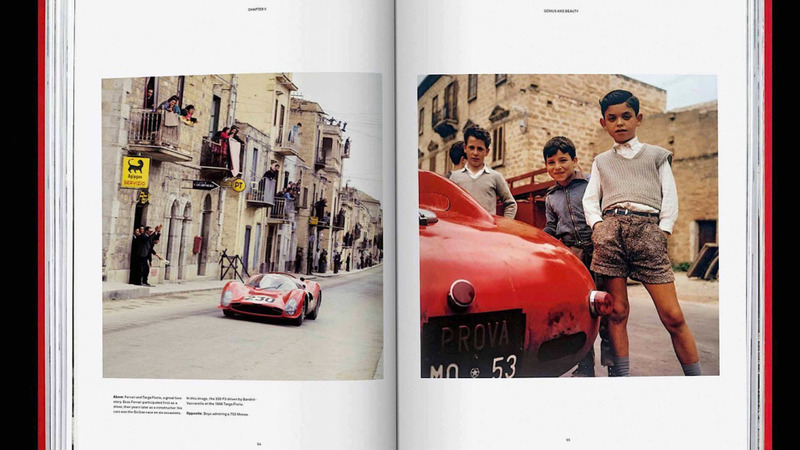 Yet an exquisite new limited-edition tome, from German publishing house Taschen, is set to become the most highly anticipated Ferrari retrospective to date. Simply titled Ferrari, this 514-page masterpiece (limited to a run of 250) will feature a collector’s Art Edition, each costing an impressive $40,000. 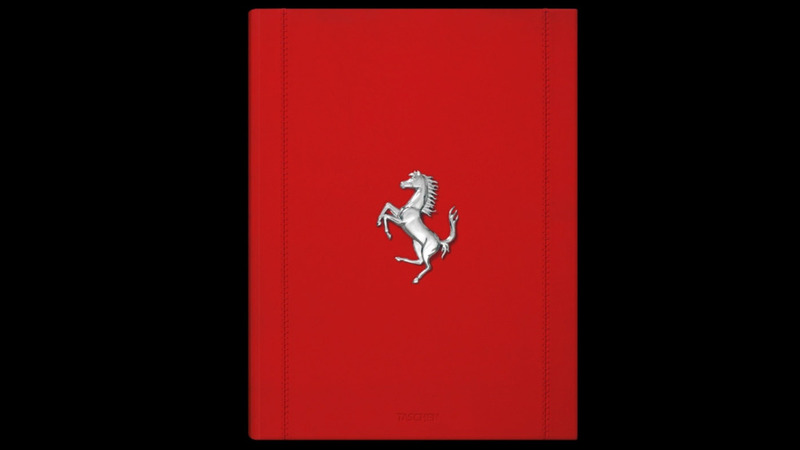 For this seemingly ambitious sum, the buyer receives the red leather-bound and hand-stitched book enclosed in a spectacular aluminum case inspired by the Testarossa red-head valve covers of a Ferrari V12 engine. The pièce de résistance, however, is the sculptural chrome stand integrated into the case. 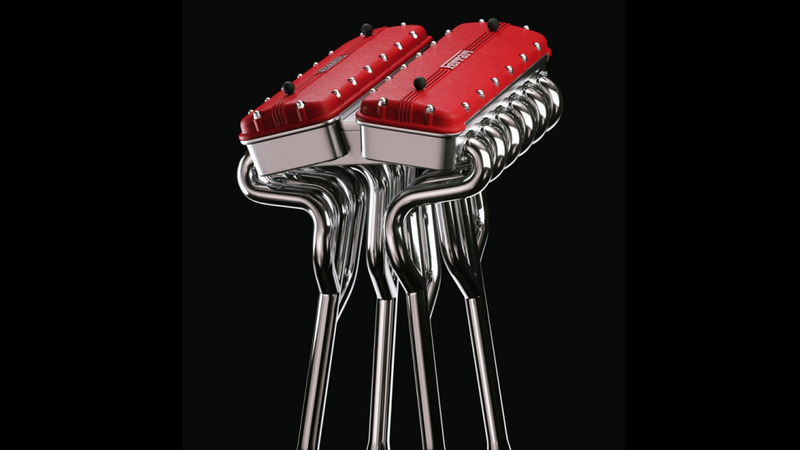 It’s designed to resemble the hand-formed serpentine exhaust pipes of a vintage Ferrari 12-cylinder racing car. Both the case and stand are the work of Marc Newson, famed Australian industrial designer and vintage sports-car racer. Newson’s vast catalogue of work includes iconic designs for Qantas, Riva, Apple and Ikepod watches. In addition to the breathtaking presentation, each of the 250 copies of the Art Edition will come personally signed by Piero Lardi Ferrari, the company’s vice chairman and only living son of il Commandatore. Other opening-page signatures include those of John Elkann, Ferrari’s current chairman, and the late Sergio Marchionne, who was the CEO of Ferrari and parent company Fiat-Chrysler until his untimely death last month. The book itself has been edited by veteran Italian journalist Pino Allievi, who worked with Enzo Ferrari on the 1988 book Ferrari Racconta, the founder’s last work before he died in August of that year. According to Taschen, Allievi was given unprecedented access to the Maranello archives and has pulled together hundreds of previously unseen photographs, drawings, sketches, and documents. The book measures 32.2 centimetres by 43.2 centimetres. The chrome stand resembles the exhausts of a Ferrari racing car. Photo: Courtesy Taschen. If the $40,000 cost for one of the Art Edition copies is a little steep for your wallet, Taschen is making available a Collector’s Edition version, and each of the 1697 examples will be priced at around $8250. These will come with the Marc Newson red-topped aluminum presentation case, but not the stand, and just the Piero Ferrari signature. The total print run for the book, which becomes available in October, will be 1947—a figure which corresponds to Ferrari’s founding year. Interestingly, Taschen’s $40,000 Art Edition version of Ferrari is far from being the most expensive Ferrari book published. That honour goes to the 852-page, 37-kilogram The Official Ferrari Opus offered in 2011. The diamond-encrusted Enzo Diamante edition, featuring the prancing horse logo encrusted with 30 diamonds, came with a quite staggering $380,000 sticker.